Garage Door Specialty is the best garage door repair and service company in the Manitowoc and Two Rivers area, with the most experienced, professional, and courteous technicians. Our team of garage door technicians will repair all of your broken springs, openers, tracks, doors and more in a timely manner and for a price that’s fair. When you’re ready to give your home or business a makeover, Garage Door Specialty has the highest quality garage doors in the area. Garage Door Specialty can install new garage doors, garage door openers, and garage door accessories to enhance your home’s value. 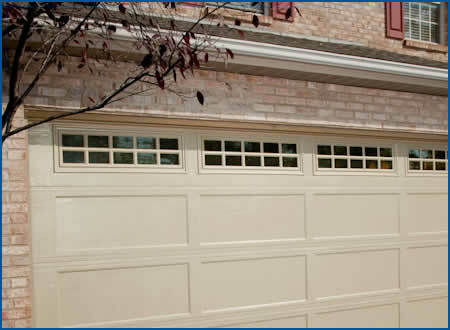 We provide the best value for all garage door-related products and service, and use only the most dependable parts. We have earned our position as the number one choice for garage door in The Manitowoc and Two Rivers area. Garage Door Specialty takes pride in our quick, courteous, and professional specialists who will repair your garage door problem, anywhere, any day, any time! All of our garage door repair technicians are trained to meet our very high quality standards. Join the thousands of satisfied customers that have trusted us with their home and business. All of the overhead door and commercial door operators that we install come with a guarantee of reliable performance. Garage Door Specialty provides garage door and garage door opener service, repair, sales, installation, and free in-home replacement garage door estimates for the following areas: Manitowoc, Two Rivers, Kewaunee, Luxemburg, Chilton, and more!